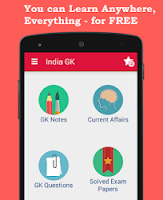 Current Affairs MCQs of 4 August 2015 Quiz: Current Affairs Daily Multiple Choice Questions (MCQs) for India GK, World GK and current affairs with Collection of daily objective type Question by www.Indiagk.net based on General Knowledge (GK) and General Science (GS) Questions for UPSC, State PSC, SSC, Police exam, Railway exam, SBI, Bank PO, IBPC, SSC, LDC, UDC, Army, Airforce, Navy, Coast Guard, Bank Clerk, TET and all entrance examination with current affairs News, Multiple Choice Questions (MCQs) available on Website www.IndiaGK.net and Android Apps with daily updates:. Govt. in August 2015 signs historic peace accord between Government and Nationalist Socialist Council of ......... (NSCN) ? Govt. to setup Central Research Institute for Yoga and Naturoapthy (CRIYN) at ? Thirteen days long “Bharat Parv” 2015 begins at ? Who inaugurated the “Bharat Parv” in New Delhi on 3rd August 2015 ? The web portal Participatory Guarantee System-India (PGS-India) is related to ? Total Budget Estimates for year 2015-16 under Swadesh Darshan Scheme ?